Dive Kadavu - Matana Beach Resort - Fiji Kadavu Dive. PADI Dive courses, Matana Beach Resort, Kadavu, Fiji. Become qualified as a Dive Master! The DIVE KADAVU team of skilled PADI professionals will guide you through some of the best dive sites in the world. Our purpose built dive boat will get you there quickly and comfortably. You arrive at the dive sites refreshed and ready for the adventures that only the reefs of Kadavu can offer. 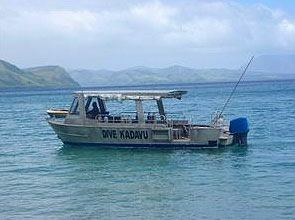 Dive Kadavu has over 40 dive sites to choose from and most are only a 5 – 15 minutes boat ride away. This is the easiest and most enjoyable diving you can imagine. Diving in these clear waters with abundant marine life, brilliantly coloured soft and hard coral and endless swimthroughs is a dream come true. What makes the diving so easy? What marine life will you see? Kadavu and its reefs are famous for their variety . You can expect to see a full range of coral fish and then there could be mantas, turtles, jacks, tuna, sharks, grouper, sea snakes, rays, nudibranchs & more - just about anything is possible. While there is always the chance to see Manta Rays even near our close dive sites, we have located a site that consistently produces close encounters with these gentle giants. 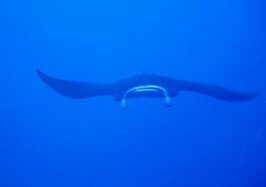 Some of the mantas encountered on the dive site have been up to 20 feet wide. 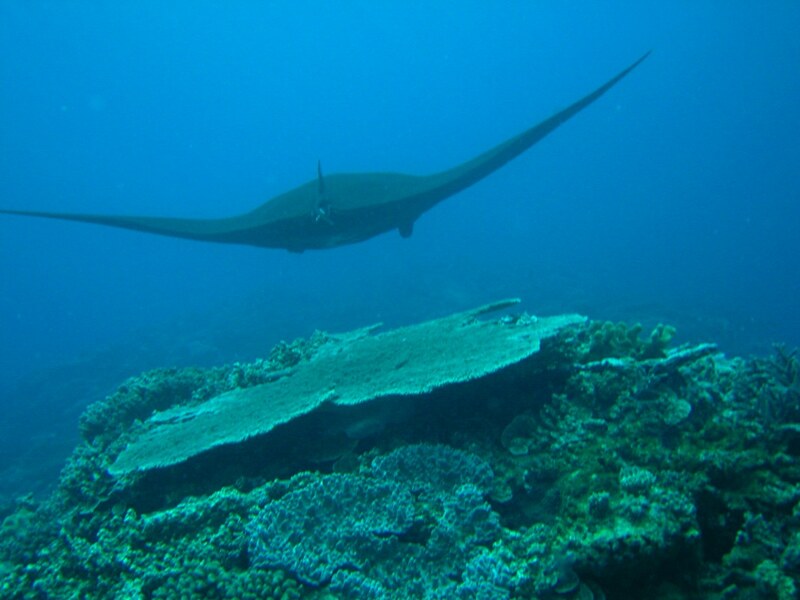 We offer the Manta Dive as an all day trip which includes a 2-tank dive and a Fijian picnic lunch. Due to the location of the dive site on the southern side of the island, this dive is dependant on calm weather and cannot be pre-booked. Please enquire for details. Another special dive is in the Motu Marine Protected Area. Dive Kadavu has exclusive rights to explore these untouched sites on the Yawe/Motu Reef. Come and enjoy the beauty of these pristine corals and abundance of marine life, just 20 - 30 minutes boat ride from the Resort. Matana Beach Resort was the first dive resort in Fiji to use moorings. Yes as far back as 1985 we were using fixed lines on more than 60 sites. Our guides are always there watching to ensure that divers control their buoyancy and ensure that no marine creatures or their shells are removed. We treat the reef like it is a marine park and have approached the government to make it into one.